So how did you do this week on the creativity challenge? I know that some of you were very successful and some of you emailed me to tell me you were having trouble getting started. But that’s the whole point of it really, the getting started. It doesn’t particularly even matter what you do as long as it’s something that makes you feel creative. A new bangle bracelet for myself. 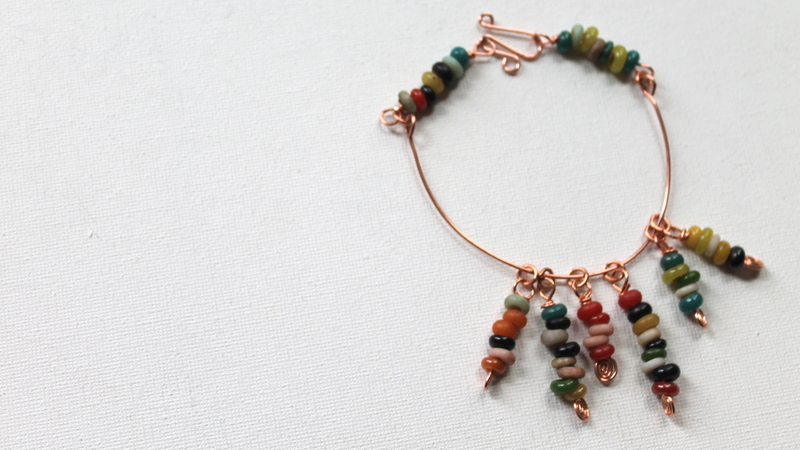 This bracelet that seemed like a good idea – but it’s not particularly working out when I’m wearing it – so I will be working on the design more. And the other days I worked on my wedding scrapbook. I think this has had the biggest impact for me. I had started this scrapbook over 2 years ago. I got married May 19, 2012. 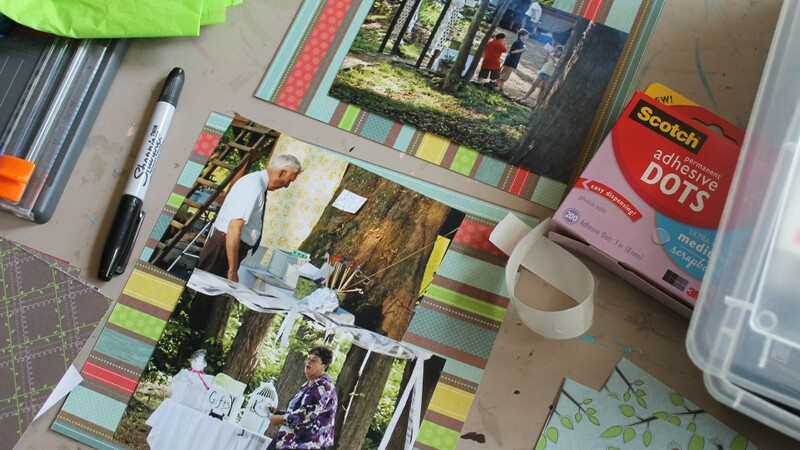 I love scrapbooking, but I haven’t done it regularly for many years. I knew I wanted to make an actual physical scrapbook for my wedding. With the scrapbooking I am now motivated to continue working on this book and complete it! I’m excited, energized and enthusiastic about it! 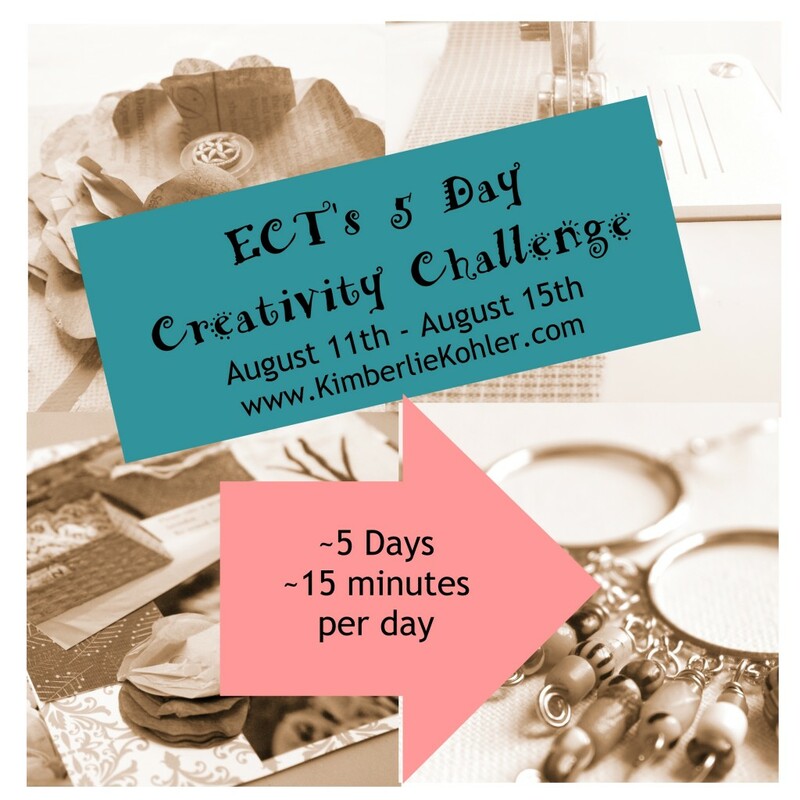 So for me this 5 Day Creativity Challenge has been a big success! Other people shared that they were knitting, doing digital art, painting their nails, making jewelry, writing, among other things. 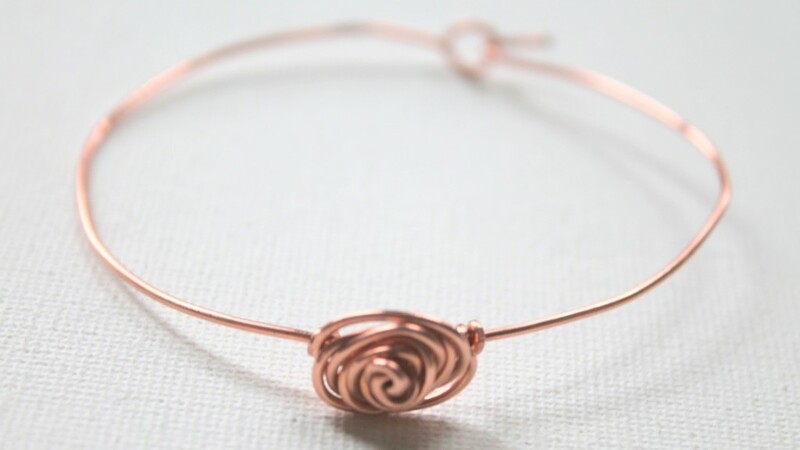 If you would like to work with me further on your creativity, I have this great 6 week eCourse called Rediscover Your Creativity Through Making Jewelry. Each week for six weeks you get a creativity booster, jewelry making lessons and jewelry projects. People new to jewelry making have taken the eCourse and had their creativity energized and I have had professional jewelry makers take the course and get a lot out of the creativity parts. Get $50 off for a limited time. It’s normally $89, but I wanted to offer it to you for just $39 so you can keep the creativity going! If you have not gotten started on the challenge, then this will help you with specific creativity boosters to do. If you have done the challenge and want to keep going, this will help you, too. You have until Sunday, August 24th at midnight and then this discount will no longer be available, so act now. Don’t wait! Learn more about the eCourse by clicking here. And please do not hesitate to contact me to ask any questions you may have. This entry was posted in Creativity and tagged 5 Day Creativity Challenge, art, challenge, craft, creativity, discount by Kimberlie. Bookmark the permalink.